Hypertension, or high blood pressure, is a widespread condition that’s highly treatable with the right care. However, this condition can have a devastating effect on your overall health if left untreated, making early intervention crucial. 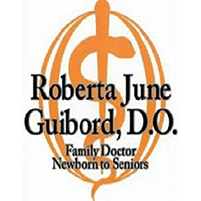 Dr. Roberta June Guibord offers several effective solutions to her patients who suffer from hypertension in the Perrysburg, Ohio area, allowing them to lead happy and active lives. To learn more, call or book an appointment online. Hypertension, also known as high blood pressure, describes a condition where the blood in your arteries is pumping too hard against your arterial walls, potentially causing them, and your heart, to weaken. Your blood pressure fluctuates throughout the day, increasing during and after exercise or upon waking, which is normal. If, however, your resting blood pressure rate is high, it means that your arteries and heart are in a sustained state of overwork. If you’ve got hypertension, early intervention with Dr. Guibord is vital in halting and reversing the condition. There are no classic symptoms when it comes to high blood pressure. The only way to find out whether you’ve got hypertension is through regular blood pressure checks with Dr. Guibord. After reviewing your lifestyle and medical history, Dr. Guibord tailors a plan that fits your specific needs, often starting out conservatively and becoming more aggressive if your condition proves unresponsive. To get help lowering your blood pressure, call or book an appointment online.